It’s that time of year where lots of men and women point their vehicles westward and try to push the limits of their rifles on prairie dogs. I was a part of this group of people just a few days ago while in northwestern North Dakota. For this trip, I turned to some Sierra® 52 Grain HPBT Matchking (#1410) and 53 Grain HP Matchking (#1400) bullets. I would be shooting two different Remington® Model 700™ rifles with a 1:12” twist rate: a Varmint Synthetic Stainless Fluted II and a Varmint Laminate Stainless. I believed the Sierra® bullets would be perfect for my twist rate, the varying targets from 50 out to possibly 400+ yards, and with Hodgdon®’s Benchmark powder I could achieve 3,000 FPS with maximum reloads per bottle. For much of the reloading for this trip I consulted three different load data sources: Sierra® Rifle and Handgun Reloading Data Manual 5th Edition, Lyman® Reloading Handbook 49th Edition, and the Hodgdon® “Reloading Data Center” from their website. I took the manufacturer of the bullets I would be using (Sierra®), the manufacturer of the powder (Hodgdon®), and a third reliable source (Lyman®) that wouldn’t show bias because they produce no components, only tools. With their information, I reloaded my brass with 23.7 – 23.8 grains of Benchmark which would push my MatchKings just faster than 3,000 FPS and allow me to get around 295 reloads per pound of powder. I set my reloads to an O.A.L. of 2.20” to err on the safe side (Hodgdon® advocated 2.20” while Lyman® and Sierra® advised 2.25” would suffice). I knew the Sierra® MatchKings would shoot superbly accurate with my rifles so that was a no-brainer. I chose Hodgdon® Benchmark powder because I wanted to achieve 3,000 FPS with the MatchKings so they wouldn’t be so bullied by the sometimes heavy winds of North Dakota. Also, the Benchmark powder would allow me 3,000 FPS at the lowest cost of powder volume without sacrificing accuracy. In fact, Lyman® suggested Benchmark as the most accurate powder tested for the Sierra® MatchKing 52 Grain HPBT bullets as well. It was really important to me to get lots of reloads per pound of powder aside from accuracy and speed because as any seasoned prairie-dogger knows you’re going to be shooting a lot; which we definitely did! Once my hunting party and I arrived out in the “Little Missouri National Grassland” of North Dakota we immediately began scouting for prime prairie dog towns. There is a certain amount of strategy involved in choosing a prairie dog town to set up and shoot at for several reasons though. For one, you should try to always stay “above” the prairie dogs. Small objects like rocks, cactuses, and prairie vegetation can easily obstruct your view if you’re shooting prone on a level plane. We encountered this in the first small prairie dog town we stopped and shot at. The prairie dog town was very visible while walking and standing, but once we laid down with our rifles on bi-pods the two foot prairie grass became a severe obstruction. We shortly moved on because the small town became quick-studies to our shooting. The second prairie dog town we hunted was at the base of a small ridge with a dried, cattle creek at the bottom. 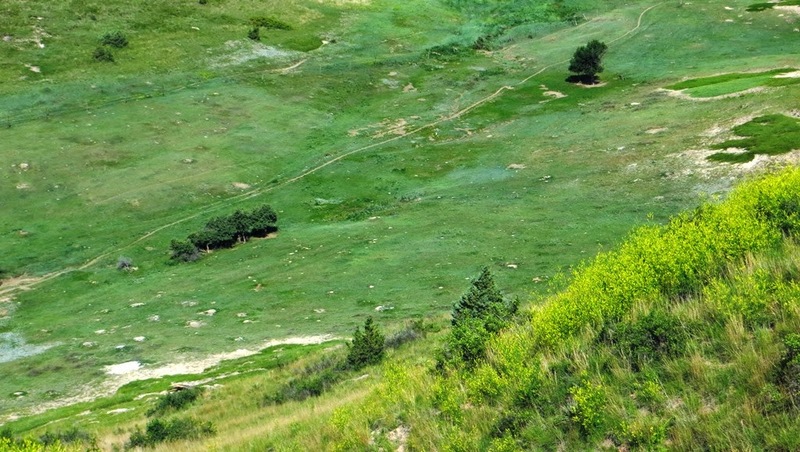 This area offered better shooting opportunities because we were above most of the prairie dog holes, and if we were not above them, a deep ravine separated us from the prairie dogs removing any obstructions from our rifle scopes which was our previous problem. 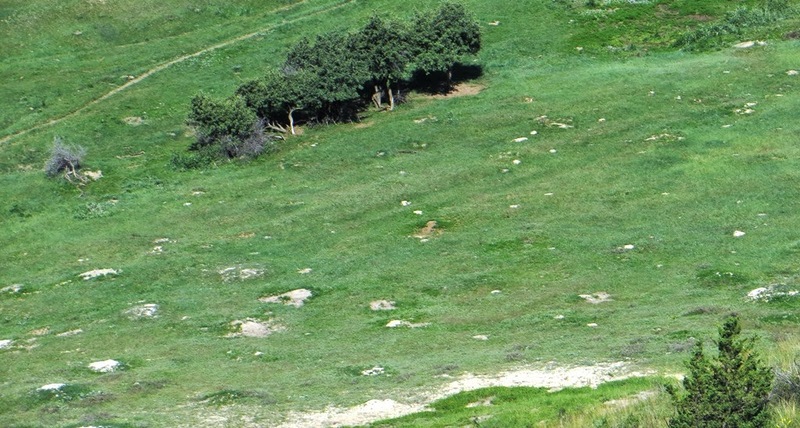 This area had its own disadvantage though because of some other wildlife present. There were approximately fifty head of cattle in our close vicinity grazing, which was to no surprise because many ranchers utilize the National Grassland for grazing. We had to wait for the cattle to leave our area as to not have an incidental hit due to a rare ricochet. As the sun passed over the horizon we decided to return to this spot the next morning, but would change our shooting position to increase our advantage. When we returned the next day, we positioned ourselves atop the ridge and shot down on the same prairie dog town with greater visibility and no cattle in sight. A new element became our nemesis from this vantage point though, which I prepared for with the reloading of my Sierra® bullets. If we shot down now into the valley from our ridge we battled swirling winds which affected our accuracy; sometimes negligibly and sometimes significantly. I purposefully chose a powder and bullet combination to ensure 3,000 FPS so we would be affected less by the wind. Any shots into the valley (300 yards or less) were slightly pushed to the right, but with perfect consistency. The MatchKing 52 Grain HPBT bullets were hitting 4” to the right and I could easily compensate with my reticle and continue to make hits. If any shots were attempted to the opposite ridge or hill side (300 yards or greater) the MatchKing bullets flew true unaffected by the elements. My previous varminting best was a 275 yard shot near Mobridge, South Dakota on a separate prairie dog hunting trip. With more experience and better reloading, I was able to make a solid hit on a prairie dog just over 400 yards which made me ecstatic! For a central Minnesota, shotgun-raised guy, I was pretty happy that my bullet selection and hand-loading ability produced a 125 yard improvement. My shooting partner for the trip was none other than my wonderful girlfriend and marksman Jess. While my shots danced further and further out, as I tested the abilities of my rifle, reloads, and own shooting ability, she was content to shoot (and rarely miss) anything under 300 yards. She shared my reloads for this hunting trip and neither one of us had a single failure-to-feed, malfunction, or outlier in accuracy. 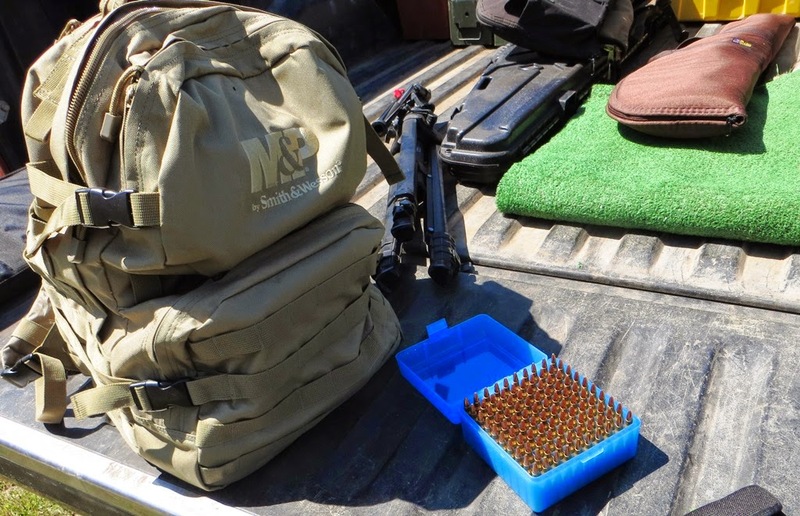 Once we cleaned and cased our rifles for the journey home we had shot a little over 200 rounds of my Sierra® reloads. This was a lot less than previous prairie dog trips I have been a part of, but our hit percentage was substantially higher as well. Traveling into a new area meant a lot more scouting and experimentation for us as a group. In future trips or hunts of your own, it can be very beneficial to schedule an extra day just for scouting as to not take away from potential hunting time. Also, be sure to invest in your ammunition. As a store manager for one of my family’s two gun stores I see all too often people spend an exponential amount of money on firearms, food, lodging, and other gear, but will skimp or buy ammunition just to get by. 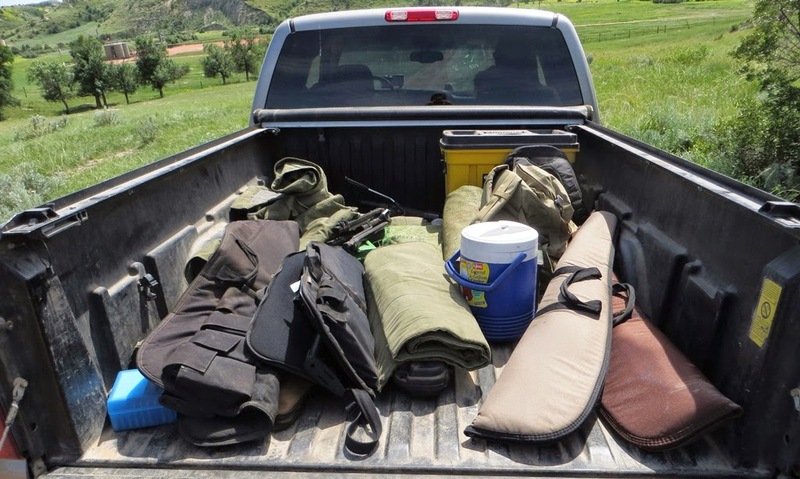 In the grand scheme of things, your ammunition is likely your smallest investment in any hunting trip, and when success or failure of that trip is on the line, it boils down to you… your firearm… and the bullet coming out of it. So either buy better quality, loaded ammunition for your next hunt or ensure your future success by reloading yourself. If you reload your ammunition like I did, always remember: good bullets come in green boxes. 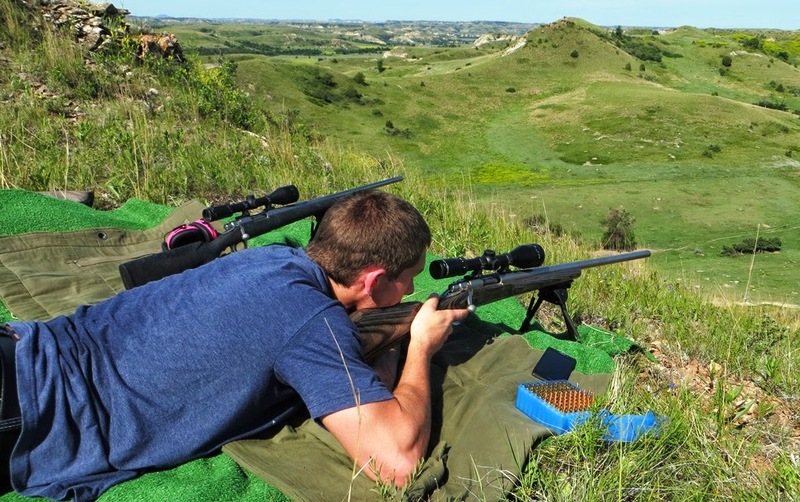 This entry was posted in Hunting Stories, Reloading, Uncategorized and tagged Hodgdon Powder, Hodgdon Reloading Data Center, hunting in North Dakota, Lyman Reloading Manual, prairie dog hunting, prairie dog town, prairie dogs, Remington Model 700, Sierra Reloading Manual. Bookmark the permalink. The caliber being used for this trip was .223 Remington. Sounds like you had a great trip and a great hunt. Good read thanks for sharing! It was a really fun hunt! I’m looking forward to going to the same spot next year! Too bad your rifles aren’t 1:9 twist, you’d love the 55 gr BlitzKing. I was thinking of actually reloading my spent brass with those to shoot through my brother’s Colt AR which could make for some long-range fun out of that Colt! Nice write up! What kind of groups did your load yield?